Clean CARFAX. Bronze 2013 Buick Encore Premium AWD 6-Speed Automatic ECOTEC 1.4L I4 SMPI DOHC Turbocharged VVT **RPO CERTIFIED VEHICLE**, **3 MONTH 3,000 MILE EXCLUSIONARY WARRANTY**, *ONE OWNER*, *CLEAN CARFAX VEHICLE HISTORY*, *NEW OIL & FILTER CHANGE*, *USB / AUX INPUTS TO PLAY MUSIC*, *BLUETOOTH, HANDS-FREE*, *GPS NAVIGATION*, *BACKUP CAMERA*, *LEATHER SEATS*, *HEATED FRONT SEATS*, *SUNROOF / MOONROOF*, *PREMIUM WHEELS*, *NON SMOKER*. Hello, I would like more information about the 2013 Buick Encore, stock# 12007. 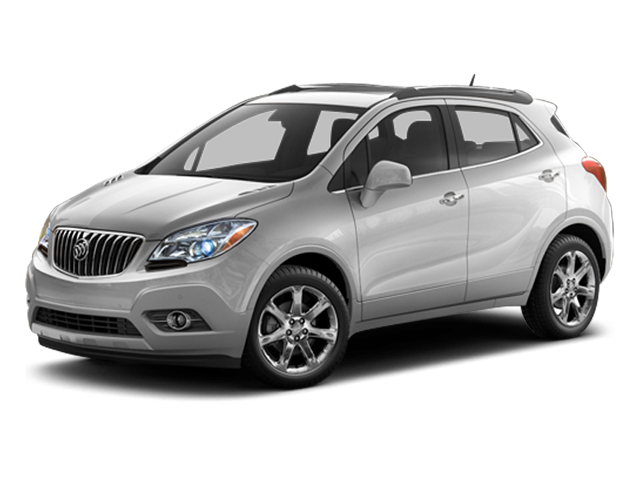 I would like test drive the 2013 Buick Encore, stock# 12007. Please text me about this 2013 Buick Encore (KL4CJHSB0DB197697).